We know, geography isn't everyone's specialty. If you're unsure where Golmud is situated, it's wise to brush up on its location before you fly off! From Golmud, China's capital, Beijing, is 1,200 miles (1,931 kilometers) to the east. Save cash when you book an accommodation and flight package through Travelocity. With upwards of 400 airlines and 665,000 lodging options, your Golmud escape is just a click or two away. Looking for a panic-free travel experience? Our Customer 1st Guarantee gives you the freedom of 24/7 personal assistance on our services. Discovered an even better bargain elsewhere? We'll match the price and refund the difference^. You've got the flexibility to adjust any of your travel bookings with no extra charges on our end. You know what that means, right? Less stress, more fun! And so long as you get in fast, many accommodations don't charge extra fees either^. You should book ahead if you would like to stay close to Golmud. 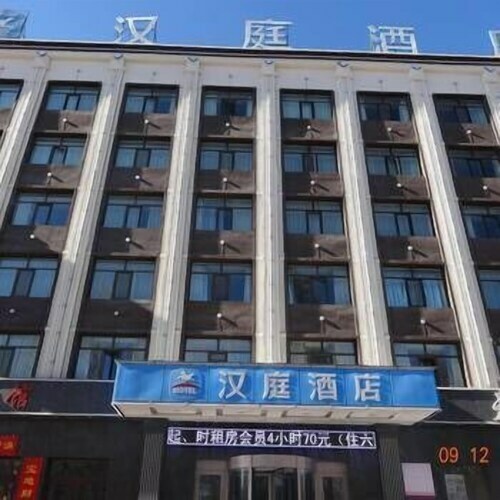 The DoubleTree by Hilton Hotel Qinghai - Golmud is the only property within a short drive of the center. Where do you fly into for Golmud? Coming in to land at Golmud Airport (GOQ)? Once you hop off the aircraft, the heart of Golmud is about 6 miles (10 kilometers) east from here. Call a cab and enjoy the drive — your adventure is just beginning! Can I rent a car in Golmud? Grab a rental car via Travelocity for your time in Golmud. You're sure to come across some hidden gems while you're cruising down the highway. If you need a ride from Golmud Airport, unfortunately, there aren't any car rental outlets right at the terminal. You'll have to find other means of transportation to venture into town, 6 miles (10 kilometers) away. The protection of valuable areas and species is fundamentally important. Lose yourself in the quietude of nature at Hoh Xil Nature Reserve and see how many animals live there. Want more ideas? Looming large in the skyline, Jiangjun Tower of Golmud, Qinghai is not easily missed. Stand beneath it, tilt your head back and admire this imposing old structure. This property is in Golmud. This hotel is in Golmud.